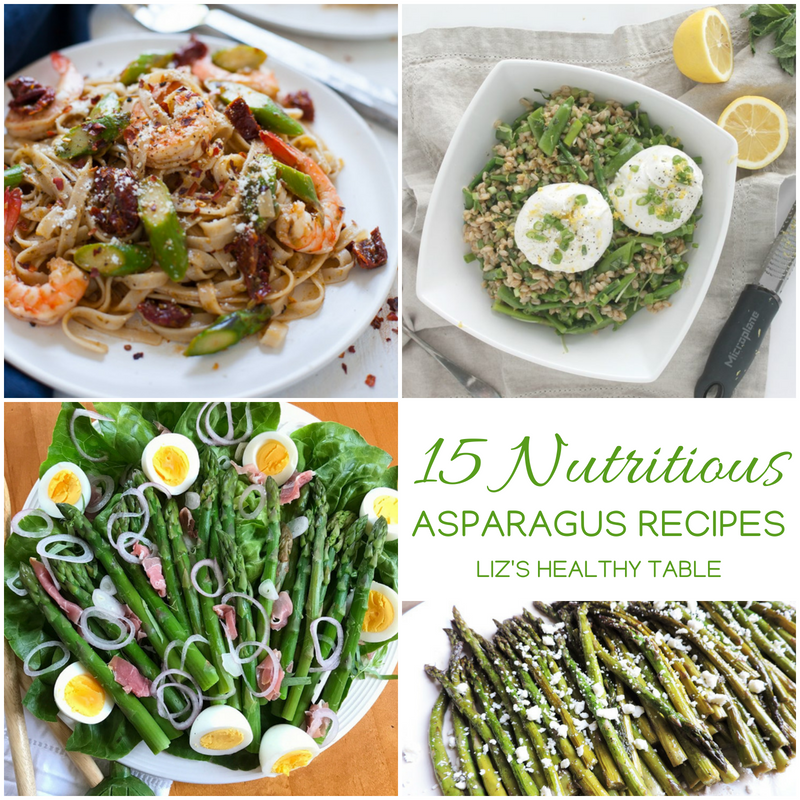 Asparagus is in season, so celebrate with these 15 nourishing asparagus recipes including Asparagus Salad with Eggs and Prosciutto, Asparagus, Zucchini & Carrot Ribbon Salad, and Creamy Asparagus with Pea Risotto. 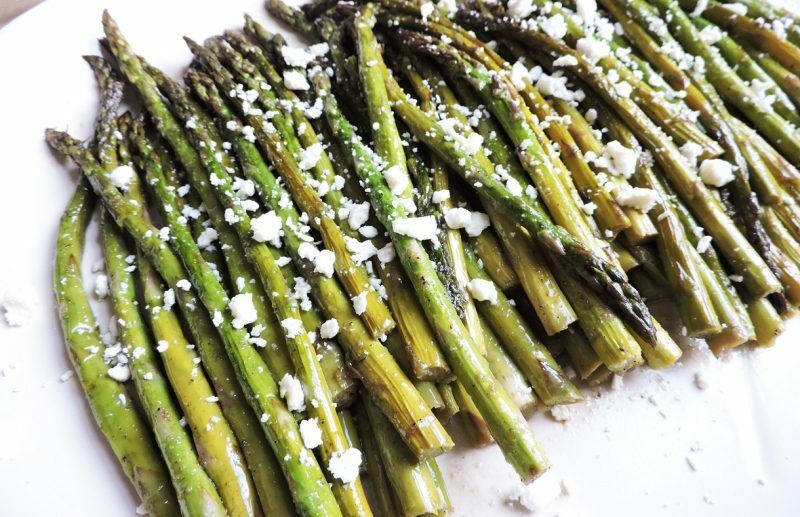 Want to learn more about how asparagus is grown or how to choose it at the market and prepare it at home? 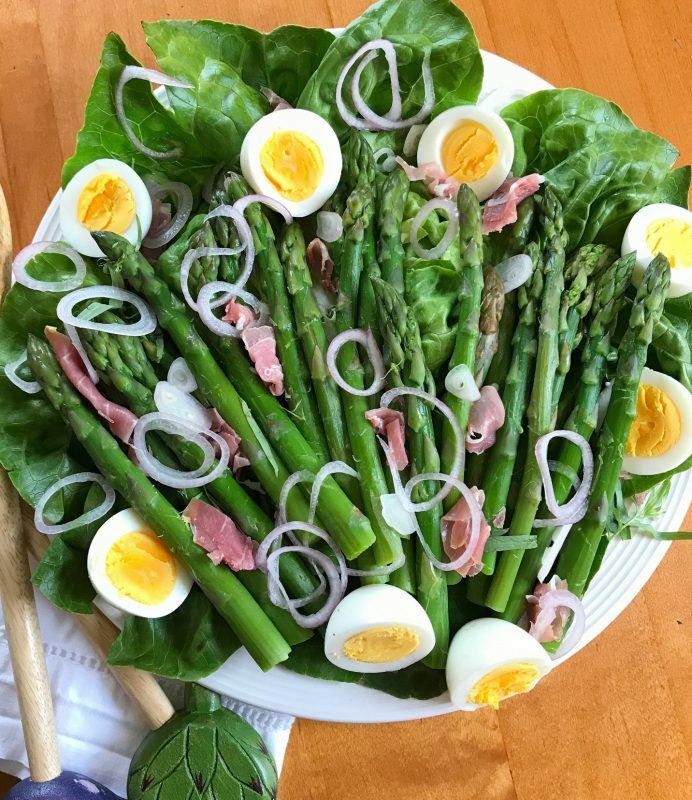 Tune in to my podcast episode on Asparagus Season with Jim Wilson, head farmer at Wilson Farm, and Raymond Ost, their in-house Master French Chef. Just click the PLAY button below to listen. 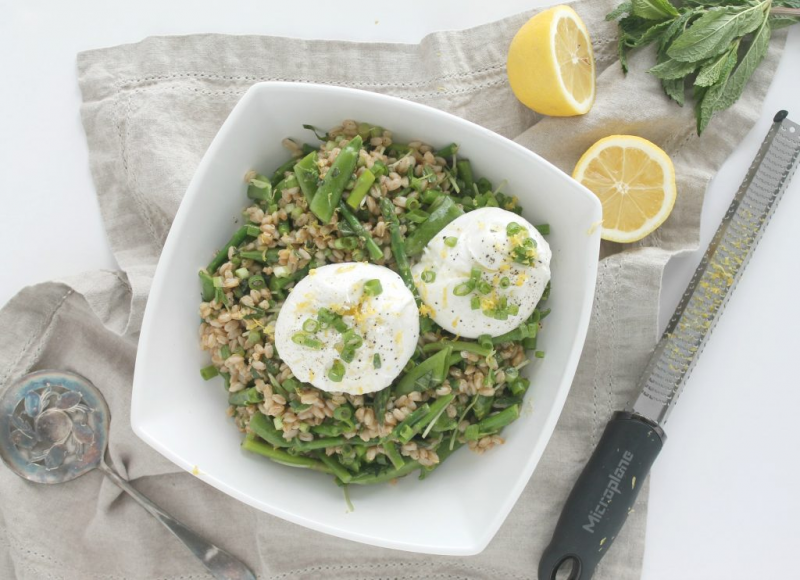 Asparagus – Recipe Roundup featuring 15 nourishing recipes to celebrate #asparagus season. 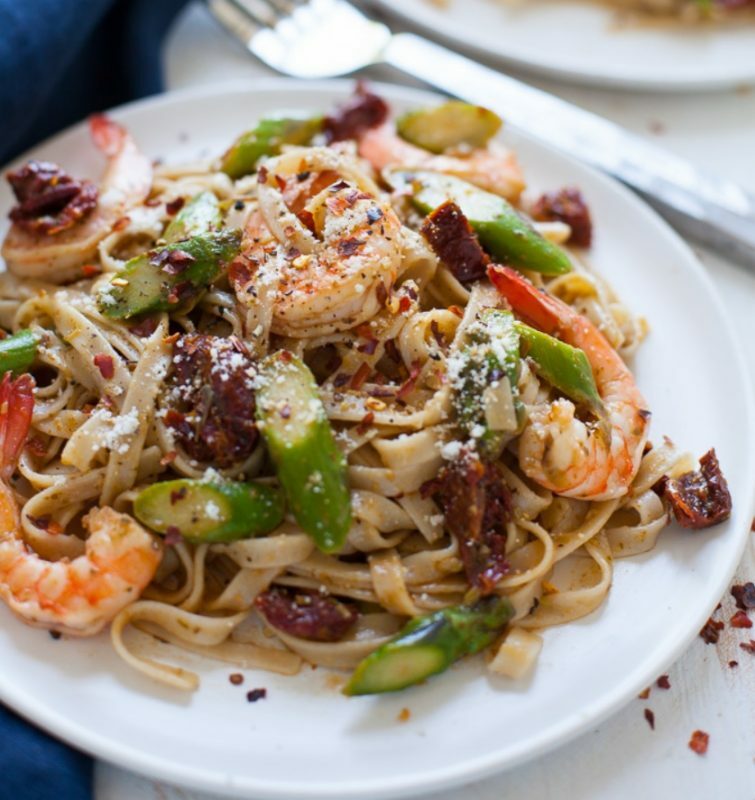 Vegetables side dishes, salads, main meals, and more.